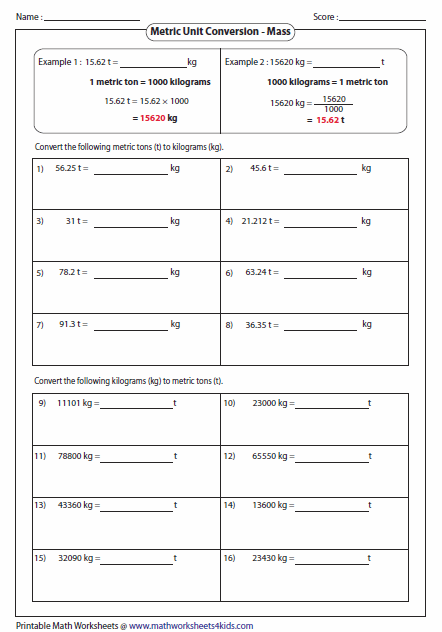 This page contains conversion worksheets on metric length, metric weight and metric capacity. All possible conversions included. Download Metric Unit Conversion Chart for learning purpose. 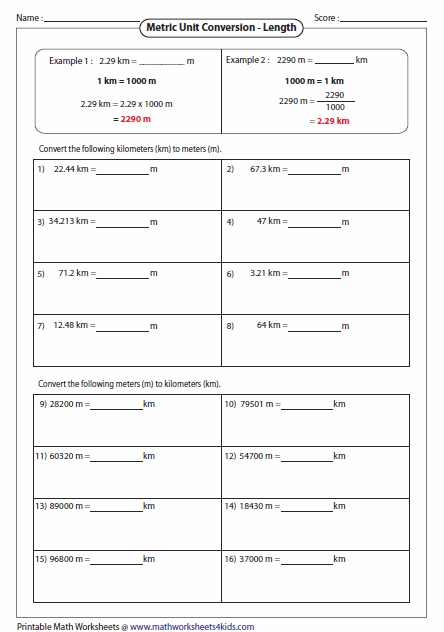 There are 4 types of worksheets converting between kilometer and meter. To convert meter to centimeter, multiply the number by 100. To perform the reverse conversion, divide the number by 100. 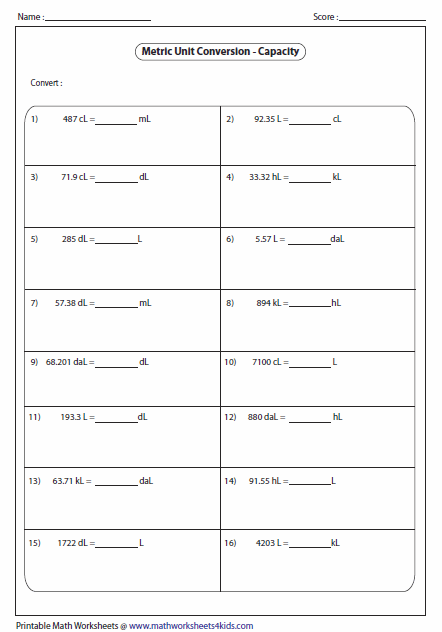 Each worksheet in type 1 has 16 problems and type 2 has 14 problems converting centimeter and millimeter. 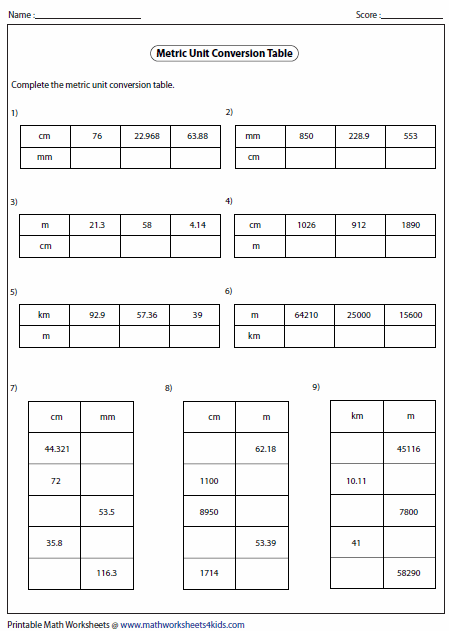 Each worksheet contains all conversions between mm, cm, m and km. Each worksheet has conversion between all S.I metric linear measurements. It contains millimeter (mm), centimeter (cm), decimeter (dm), meter (m), dekameter (dam), hectometer (hm) and kilometer (km). 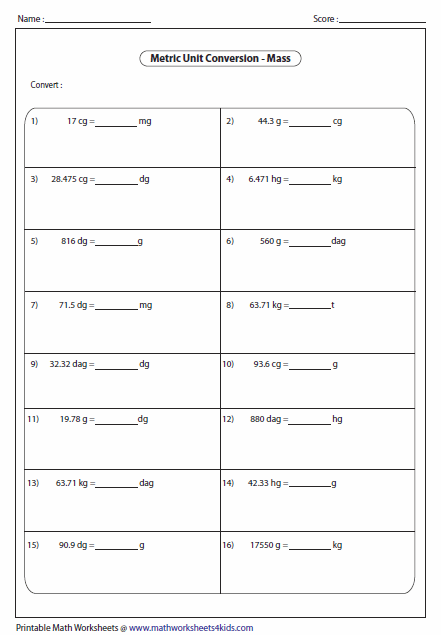 Basic worksheets converting kilograms and grams with balancing scale. 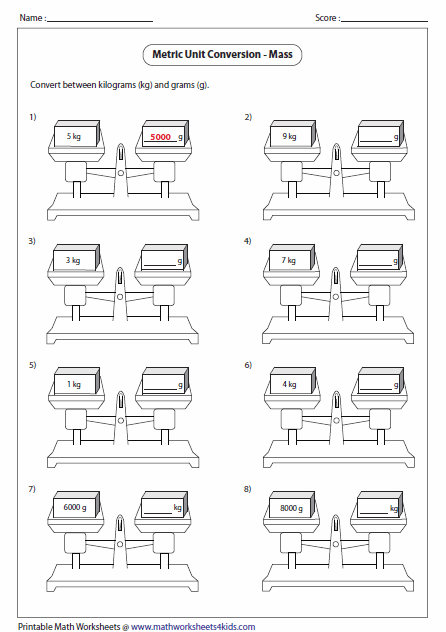 The numbers from 1 kg to 9 kg used. 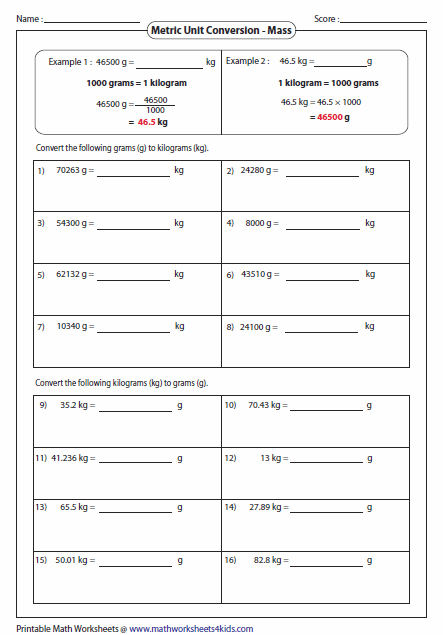 Standard worksheets based on conversion between kilogram and gram. 1 metric ton = 1000 kg. 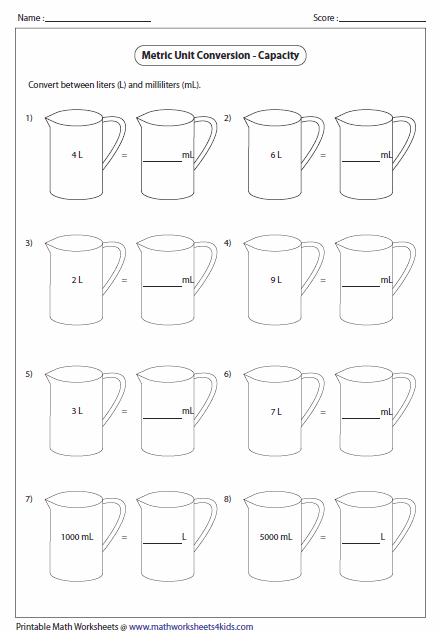 Use this fact to solve these worksheets. We have all S.I metric mass (weight) units here. (mg, cg, dg, g, dag, hg, kg and t). Beginner worksheets to practice the conversion between mL and L (1 L to 9 L used). Convert between liters (L) and milliliters (mL). It contains all metric capacity conversion mL, cL, dL, L, daL, hL and kL.